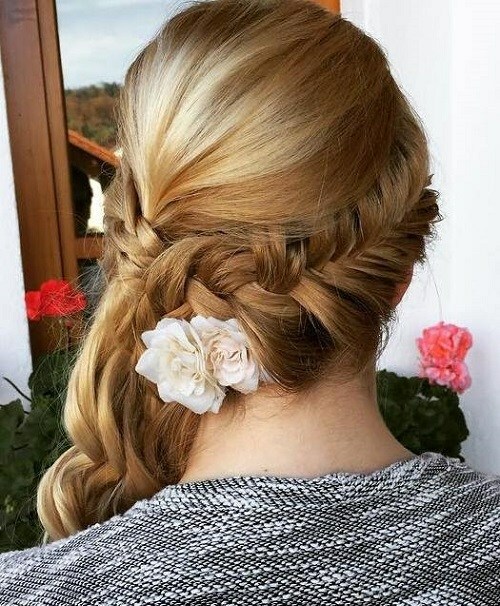 Side Hairstyles for Prom, side ponytails, side braids, side cascading curls… these have been rocked by celebs on the red carpets at all the biggest recent events, so, well, congrats, side hairstyles have become a hot trend. As prom season is approaching, all seniors are excited about the choice of chic outfits, accessories and matching hairstyles. 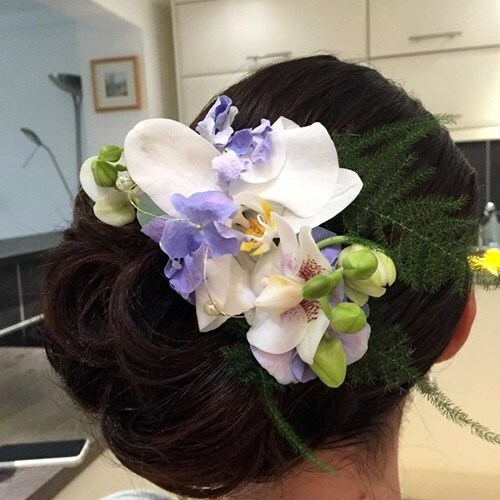 Side hairstyles for prom, showing your beautiful neck and shoulder line are a great idea of how you may stand out from the crowd at your graduation party. They are extremely flattering for all types of cocktail wear, especially for one-sleeved, single-strapped and strapless dresses. 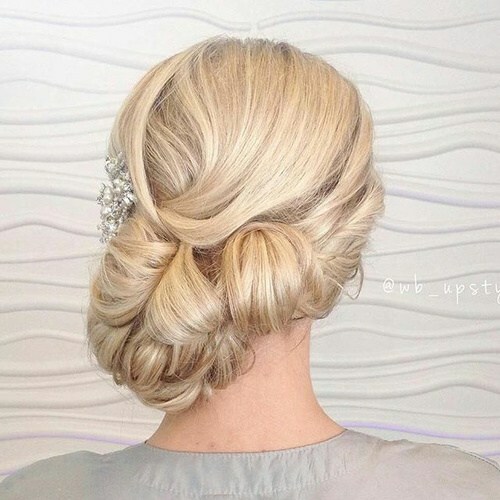 A hairstyle should compliment your dress. Besides, it would be nice if it doesn’t look too outdated even 20 years from now. That’s why, once you have decided what you are going to wear, start looking for hair inspiration ideas. 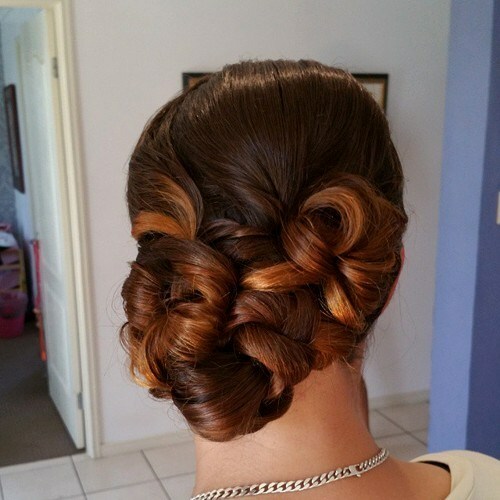 Here you will find 50 stunning side hairstyles to sparkle your inner best at the prom party. The following side-swept gallery is going to acquaint you with very versatile side hairstyles from formal and classic to vintage and most voguish ones. Choose something that you believe will reflect your personality and make you feel comfortable with. You should look as if the chosen style was designed for you exclusively to bring out the best in your looks. Every young woman deserves her Cinderella moment and to feel like she’s the belle of the ball. Put a twist on your loose updo, shifting it to a side and accenting your chic side hairstyles with jeweled barrettes. 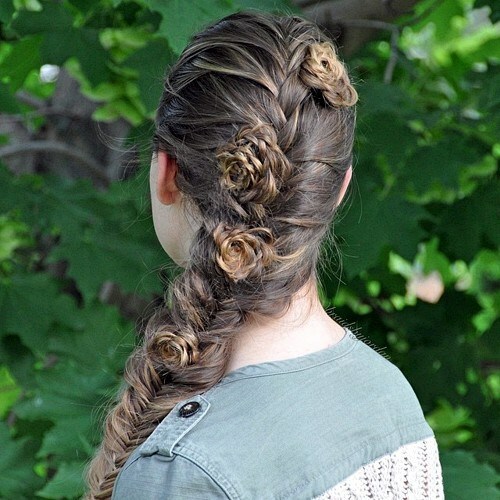 It’s a dazzling hairdo that will complement any ensemble. A French roll is always chic and looks good on any woman regardless of age. Despite this, moving it to one side gives it more of a modern edge without taking away from its polish. The best part is that a roll works on a variety of different hair textures, making it a pretty universal style. If you are worried about how to style your hair for one shoulder dresses, your best bet is to avoid anything that hangs down and covers the strap’s detail. This tightly pinned look helps your outfit shine, but still provides a visual interest with fabulous texture. 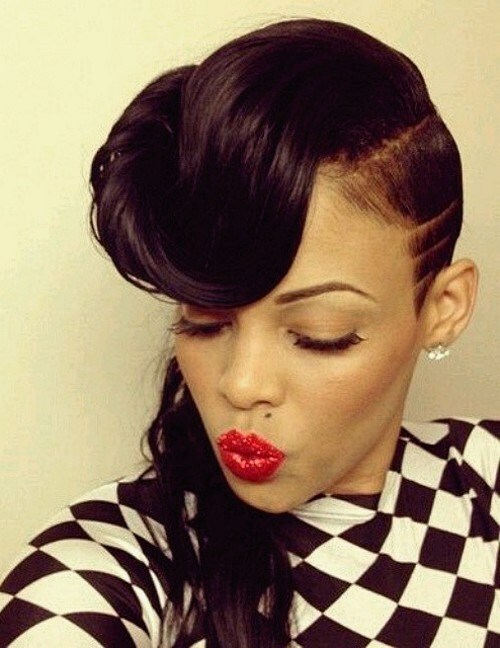 Instead of pinned-up curls, use your spirals to create a bulky knotted detail in your side-swept hairstyle. It’s more interesting than a side bun, but still feels classic at the same time. For a soft romantic effect, leave out some curly tendrils to frame the face.